Sift into bowl: flour, baking powder, salt, and sugar. Stir in the oats. Add vegetable oil, beaten egg, and nonfat milk. Stir only until dry ingredients are just moistened. Fill greased, medium-sized muffin cups 2/3 full. Bake at 425 for about 15 minutes. Serve hot. Makes a dozen. Variation: Add 1/2 c. raisins, chopped dates or nutmeats with the oats. I LOVE oatmeal muffins! Thanks for sharing the recipe and the link up! Your muffins recipe sounds yummy! I love adding Craisins to muffins. Thanks for hosting my friend! I’m always looking for new muffin recipes and these sound super!! OK I don’t have an image, so the linking tool is freaking out, but I’ve linked my site to a FABULOUS chicken wing dish my mother in law makes for new Year’s. I’m not sure if my oatmeal muffin recipe is exactly the same, but pretty darn close and they are so good! Hi Brook. Hope you are well. 🙂 Happy New Year! I’m an oatmeal fanatic! I must give these a try! Thanks for hosting! I love making muffins, I’ll have to save this one! I am sharing some homemade buttermilk dinner rolls, they are my FAVE and I make them for every special dinner/holiday! Happy New Year, Lisa! 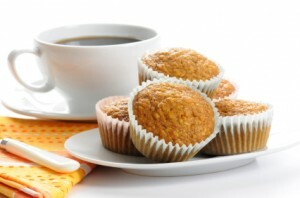 Your oatmeal muffins look delicious, and the Old Mulberry Inn Bed and Breakfast looks so quaint! I hope to visit one day. Thank you so much for hosting Tempt My Tummy Tuesday. Happy New Year, Lisa! I love oatmeal muffins (and anything with oatmeal in it). These look very good. Thanks for hosting. Happy New Year! Thanks for hosting! Yummy muffins! Bed and Breakfasts are so wonderful! It’s been way too long since we have been to one though!!!! 🙂 Maybe 2011 is the year to go again! Oh, how we LOVE muffins at our house! These look especially GREAT!! Happy New Year! Oh, man, I love oatmeal muffins, and I’m always looking for a new recipe. These look terrific, and I can’t wait to make them for Saturday’s breakfast! Ooo yum! I would definitely add the raisins or craisins or cherries but mmmm! That sounds awesome. Oatmeal Muffins sound great! I will have to try this gluten free….thanks for the idea! And Thank you for the link up too. Hi Lisa, first time at your beautiful blog. Your muffins look healthy and delicious! Thanks for the round up. I love muffins! I just so happen to have all the ingredients on hand so I will definitely be making these soon. Thanks for sharing and hosting the link party! I love recipes that are easy yet come out so delicious. Your oatmeal muffins certainly fit the bill.